Today, Branson.com released 5 tips designed to help those thinking about a Spring visit to Branson to save money, have fun and to better experience the beauty of Spring in the Ozarks up close and personal. Branson.com, started in 1995, is Branson's first destination website and along with its sister organization, Branson Tourism Center, is Branson's leading source of information, tickets and lodging. Every family needs a little getaway in the Spring, so why not come to Branson? Our Family Fun Spring Break Package includes 3 days 2 nights lodging in a Double Queen room (including complimentary continental breakfast), 1 Family Pass to either: 70's Music Celebration starring Barry Williams, Hamner Barber Variety Show, or Haygoods, and 1 Branson Guest Card Book. All of this for 2 adults and 2 children (age 0-17) is only $199 ... Book your vacation today! Use our Free Online Vacation Guide to explore all of the great things to do in Branson! Updated and ready for 2013. Explore everything from Branson history, parks, weather and transportation to the latest shows, limited engagements, concerts, attractions, lodging, shopping and dining. 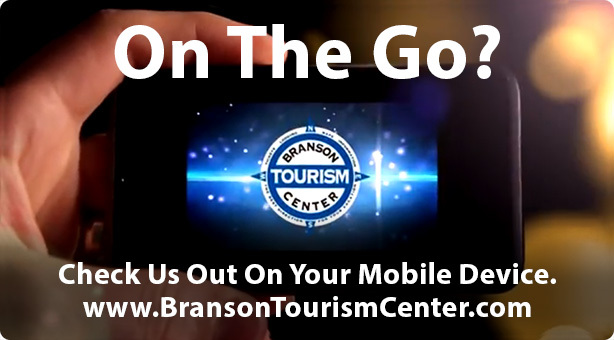 Everything Branson has to offer, right at your fingertips.